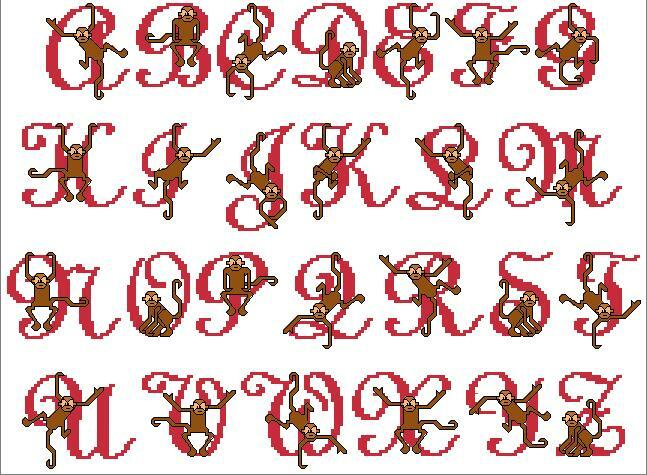 A few weeks ago, a member of the EMS Cross Stitch Board was looking for a Monkey Alphabet. Curious, I did a Google, and couldn’t find hide nor hair of one! Well, that just can’t be! So I set myself down with my PC Stitch Pro and designed one. Warning – there are lots of fractionals in the monkeys! Over the next several weeks, I’ll be publishing it here. The single letter patterns are in color, while the double letter patterns are symbols only. Enjoy! 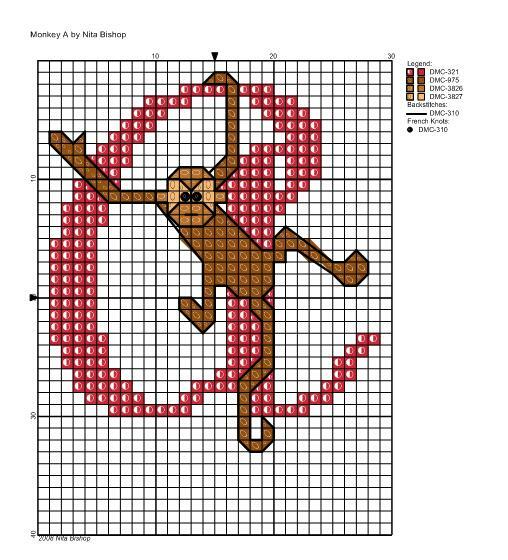 Here are the critical dimensions: Border areas are each 1-5/8 X 5-3/4 inches (4 X 14.5 cm). 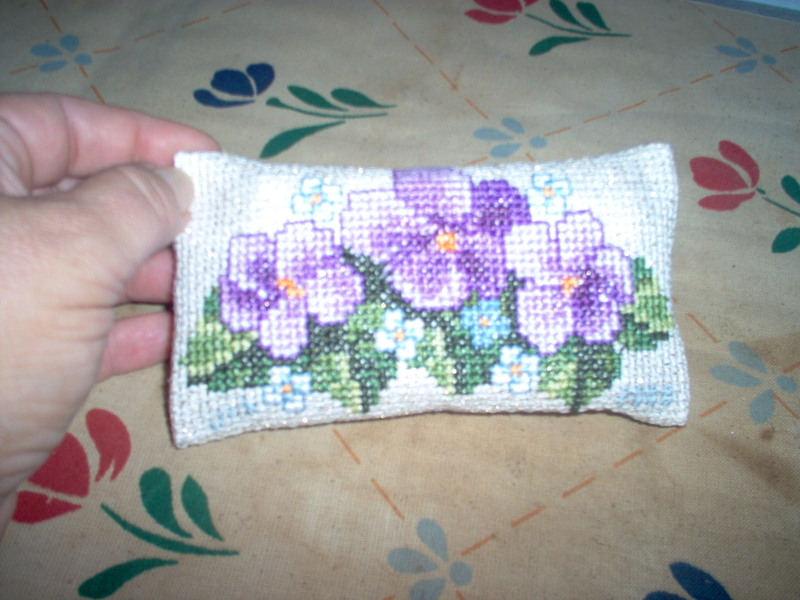 The main area is 3-1/4 X 5-3/4 inches (8 X 14.5 cm). 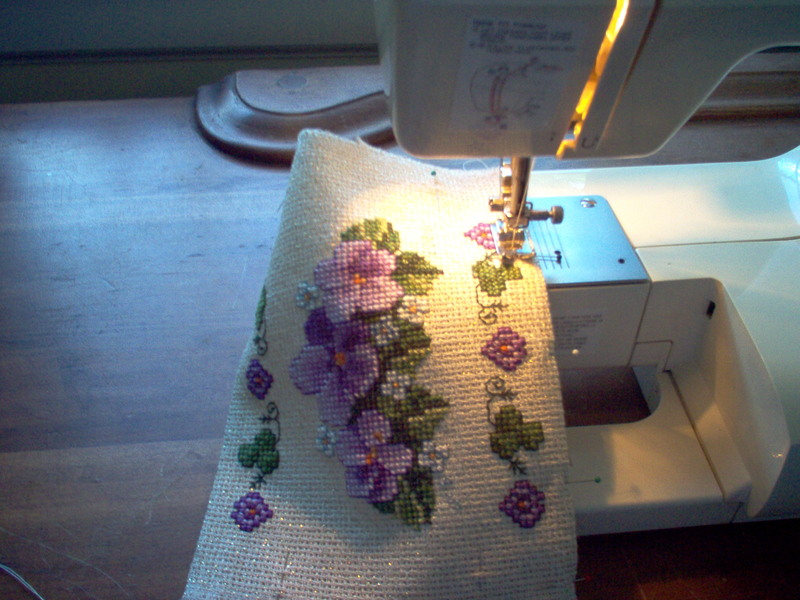 Allow at least ½ inch (1.5 cm) to turn under at the borders for the opening and for side seams. BTW, even though I serged the edges of this fabric, and sewed it by machine, it is entirely possible to do all the finishing by hand. Wash, block and iron the finished stitching. 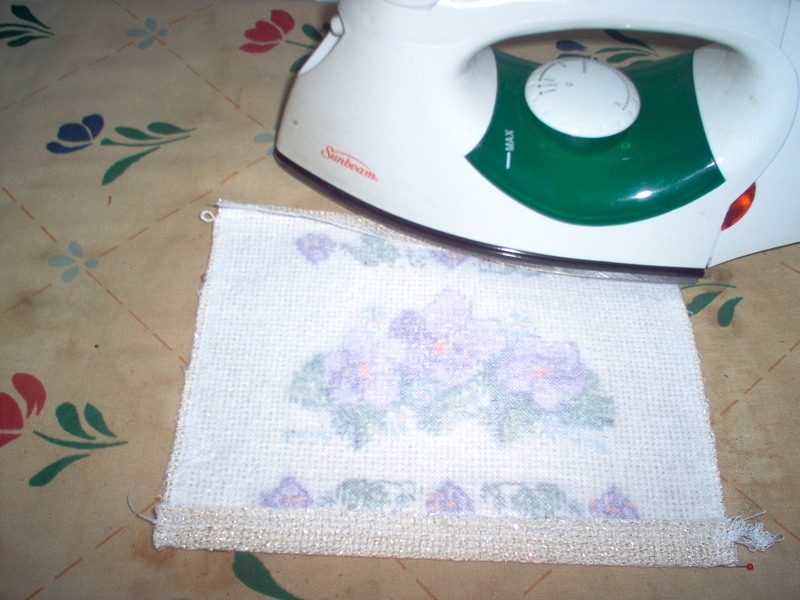 For items that will be handled, I like to iron on interfacing to the wrong side. It serves the dual purpose of protecting the stitching and helps prevent any thread from working it’s way loose. 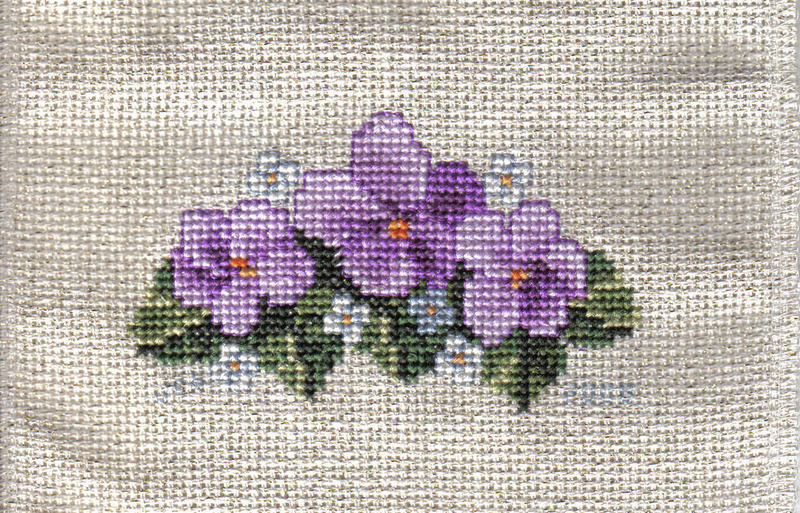 Turn under hem at each border edge. I top-stitched the hem with a neutral color thread, but you might want to use a color from your design and hand stitch a decorative hem. Fill with pocket tissues. 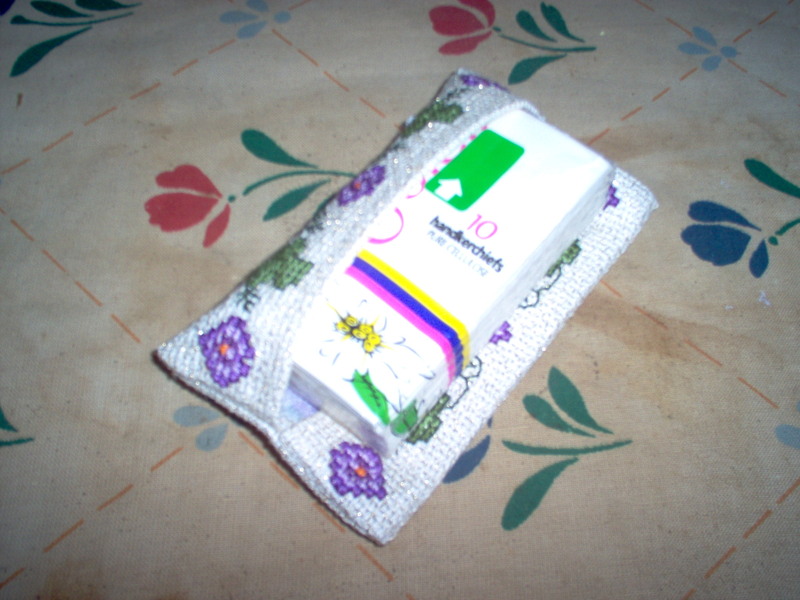 In a pinch, you can fold regular size tissues to fit. 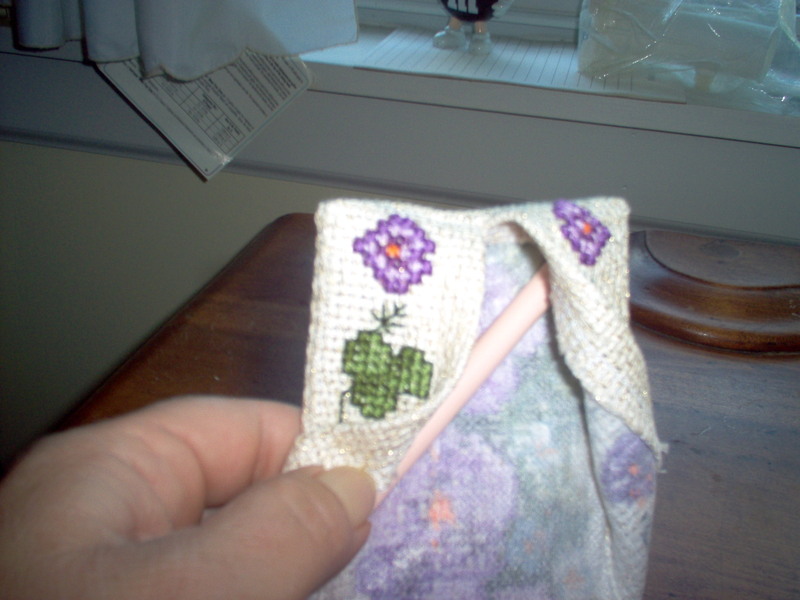 Turned out that the opening gapped with tissues inside – so I added a button and ribbon loop to help keep it closed. Total finishing time was about thirty minutes – so this is a quick finish. I would estimate that hand finishing would probably take no more than an hour. I didn’t know her personally, but enjoyed her blog and her designs. To honor her, I am sharing a design I have been working on for a little while.